Here at Inlanta we have been expanding on the branch level and are pleased to welcome new branches and employees to our growing family. In the last quarter, we have welcomed three new branches in Ames, Iowa; Marshfield, Wisconsin; and Indianapolis, Indiana. At our new Ames, Iowa branch, we welcome Jayme & Jason Kupka, Branch Managers; Brianna Schwind, Processor; and Marianne Molina, Loan Officer Assistant. We also welcome Angela Faber as the Branch Manager at the new Marshfield, Wisconsin branch. Further, Inlanta welcomes back Chad Arnold, Branch Manager, and Kathie McElroy, Administrative Assistant, to our Indianapolis, Indiana branch. Our current branches have also welcomed new employees. Lisa Durand joins the Lakewood Ranch, Florida team as a Loan Officer. Processor Kristen Ferris, Loan Officer Assistant Katie Bond, and Marketing Assistant Leah Kneisler join our Overland Park, Kansas branch. Karen Spriggs joins the Grand Rapids office, and Heather Darling joins our Kentwood Michigan office, both as a Loan Officer Assistants. Amanda Steuer, Processor, joins our Madison, Wisconsin office located on Marketplace Drive. 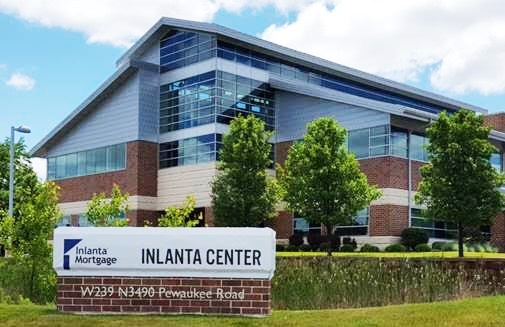 Inlanta continues to expand, now operating 17 offices in the state of Wisconsin alone. For more information on Inlanta branch partnerships, contact our Branch Development Team at 262-439-4260 or email partners@inlanta.com. 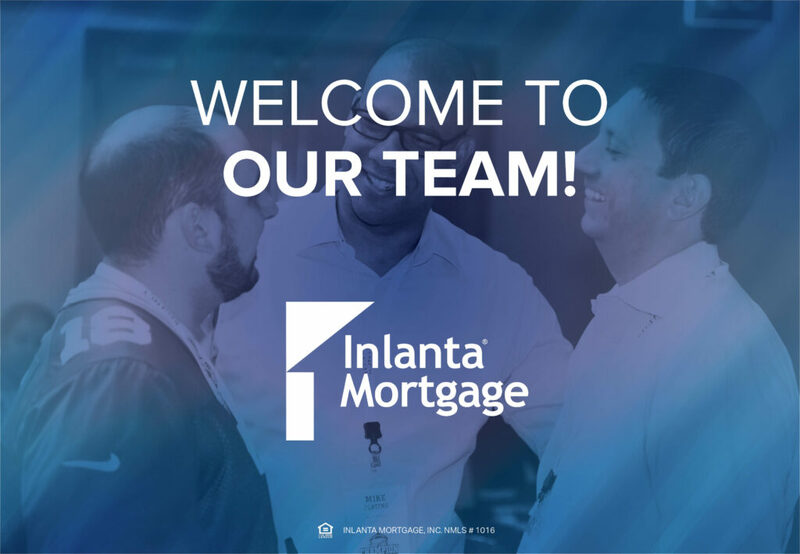 Inlanta Mortgage is pleased to welcome the experienced origination team of David Hartman and Eric Johnson. 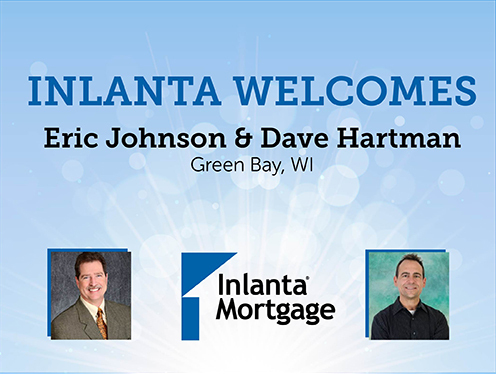 Hartman and Johnson will co-manage an Inlanta Mortgage branch office at 1087 Velp Avenue in Green Bay. David Hartman has been a licensed Mortgage Originator since 1998, previously working at PrimeLending as a Production Manager. David was also the founder and President of Mortgage Headquarters Inc from 2003 to 2013. Eric Johnson has been a licensed Mortgage Originator since 1996. He was one of the founders of Cornerstone Mortgage and left that organization to become Branch Manager and a loan originator with Inlanta Mortgage. Headquartered in Brookfield, Wis., Inlanta Mortgage was established in 1993. The company has grown to 36 branches in 16 states and over 240 employees. Inlanta Mortgage offers Fannie Mae/Freddie Mac agency products, as well as jumbo and portfolio programs. The company is an agency-approved lender for Freddie Mac, Fannie Mae, FHA/VA, FHA 203K and USDA. Inlanta Mortgage also offers numerous state bond agency programs. Inlanta’s mission is to be the home financing partner that you trust to serve your family, friends and community. Through our family of dedicated mortgage professionals, our commitment is to deliver an exceptional experience. Our unwavering dedication to integrity, honesty and ethics is the foundation of all of our relationships. Inlanta Mortgage continues to expand its branch network and encourages ethical lending professionals to learn more about our support platform and discover how an Inlanta branch partnership with Inlanta Mortgage is essential to long term success. For more information on Inlanta branch partnerships, contact Inlanta Mortgage’s Branch Development Team at 262-439-4260 or email partners@inlanta.com. Inlanta Mortgage, Inc. is pleased to announce its expansion in Michigan with the addition of a new mortgage branch office in Grand Haven. The Grand Haven location is managed by longtime local resident and veteran loan originator Kolbey Nelson. Nelson has spent 16 years in the mortgage industry and prior to joining Inlanta Mortgage, was a manager at Guaranteed Rate and E Mortgage Management. Nelson brings his loan officer assistant Leonard Zoe and his production manager Michelle Nelson with him to Inlanta Mortgage. 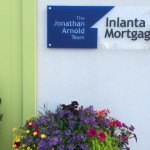 Contact the licensed mortgage professionals at the Inlanta Mortgage office in Grand Haven at 616-209-4234 or find them online at www.inlanta.com/grand-haven. 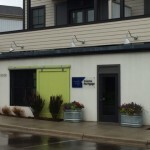 Stop by their office at 216 Washington Avenue, Unit B, Grand Haven, Michigan, 49417. Headquartered in Brookfield, Wis., Inlanta Mortgage was established in 1993. The company has grown to 31 branches in 16 states and over 200 employees. Inlanta Mortgage offers Fannie Mae/Freddie Mac agency products, as well as jumbo and portfolio programs. The company is an agency-approved lender for Fannie Mae, FHA/VA, FHA 203K and USDA. Inlanta Mortgage also offers numerous state bond agency programs. Inlanta Mortgage was named a Top Mortgage Lender in 2012 and 2013 by Scotsman Guide and has been listed in Mortgage Executive Magazine’s “Top 100 Mortgage Companies in America” every year since 2011. In addition, Inlanta was named a “Fastest Growing Firm” by Milwaukee Business Journal in 2013; a “Platinum Million Dollar Lender” by USDA Rural Development in 2014; and a Top Workplace by the Milwaukee Business Journal in 2014. Learn more about Inlanta Mortgage branch opportunities at www.inlantapartners.com, call 262-439-4260 or email partner@inlanta.com. Inlanta Mortgage, Inc. NMLS# 1016, Kolbey Nelson NMLS# 190461. 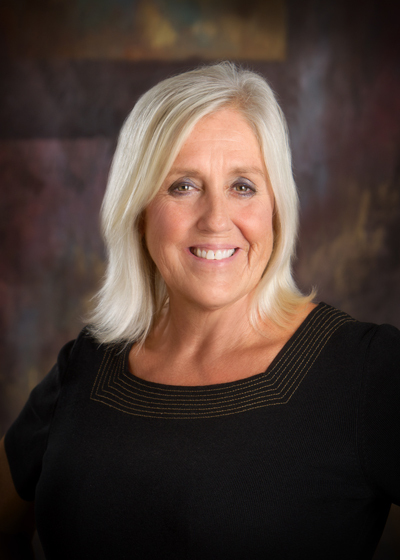 Inlanta Mortgage is pleased to welcome Senior Mortgage Advisor Penny Charlson to the Oconomowoc office in Wisconsin. Charlson began her mortgage career more than twenty years ago and spent more than ten years as a Realtor before that. Her unique background allows her to evaluate both sides of a transaction for her borrowers and ensure they understand the entire mortgage process. In addition, Charlson frequently provides educational seminars for first-time home buyers helping them prepare for their first mortgage. Charlson can assist with conventional loans, refinancing, and HARP refinancing, as well as JUMBO, FHA, USDA and VA loans. 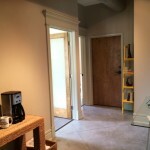 Contact Penny Charlson at 262-853-6412, by email at pennycharlson@inlanta.com or online at www.pcharlson.com. Headquartered in Brookfield, Wis., Inlanta Mortgage was established in 1993. The company has grown to more than 30 branches in 16 states and over 200 employees. Inlanta Mortgage offers Fannie Mae/Freddie Mac agency products, as well as jumbo and portfolio programs. The company is an agency-approved lender for Fannie Mae, FHA/VA, FHA 203K and USDA. Inlanta Mortgage also offers numerous state bond agency programs. 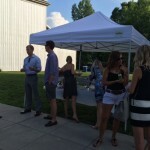 The Grand Rapids branch of Inlanta Mortgage recently hosted an open house in their new digs. 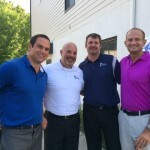 Here are some of the photos from their event and their new office in Celadon New Town! The manager of the Grand Rapids branch is Jonthan Arnold. Arnold and his team can be found at 2029 Celadon Dr NE, Grand Rapids, MI 49525. 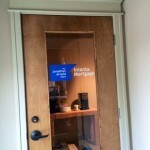 Find them online at applywithjon.com, email at jonathanarnold@inlanta.com or call 616-682-6815. 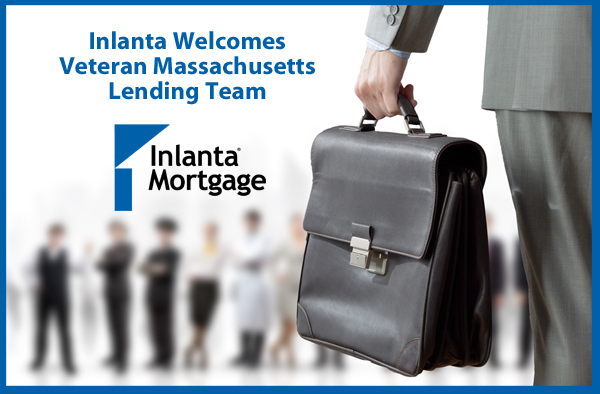 Inlanta Mortgage, Inc. is pleased to announce a new branch office in East Wareham, Massachusetts. The East Wareham location is managed by veteran loan originator and manager Dan Sheehan. Sheehan is CMPS and CMP certified. He helps clients to successfully manage home equity to increase liquidity, safety, rate of return and tax deductions. Sheehan’s long time processor, Taryn LaPrade also joins him at the new office. LaPrade is a veteran mortgage processor with a ten year background working in various roles in the mortgage business. Sheehan’s office is located at 3193 Cranberry Hwy, East Wareham, MA 02538. He can be reached at 508-743-5654, by email at dansheehan@inlanta.com or online at dansheehan.inlanta.com. Last year Inlanta Mortgage celebrated its 20th Anniversary. Inlanta Mortgage is a growing mortgage banking firm committed to quality mortgage lending, ethical operations and strong customer service. Inlanta Mortgage offers Fannie Mae/Freddie Mac agency products, as well as a full suite of jumbo and portfolio programs. The company is an agency approved lender for Freddie Mac and Fannie Mae, FHA/VA, FHA 203K and USDA. Inlanta Mortgage also offers numerous state bond agency programs. Review Inlanta’s mortgage loan programs here. 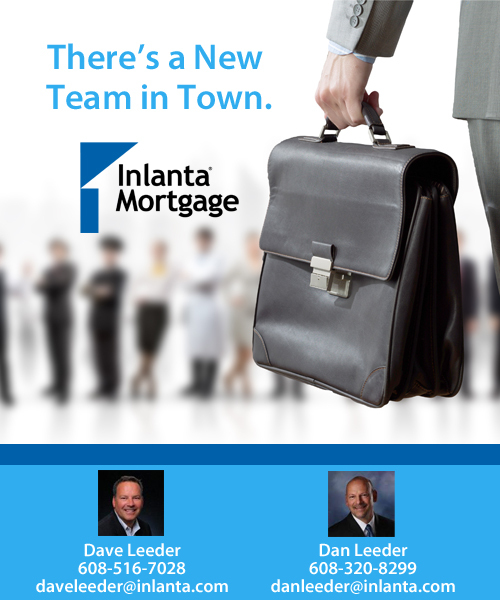 Inlanta Mortgage is pleased to welcome previous team member, Dave Leeder, and veteran originator Dan Leeder to Inlanta Mortgage. Dave Leeder will manage a new full service mortgage banking branch in Madison, Wis. with his brother Dan Leeder, Client Relations Coordinator Kathy Leeder and Loan Processor Nicole Haag. Dave Leeder is a twenty-seven year mortgage veteran returning to Inlanta Mortgage after some time with Waterstone Mortgage. Dave previously served as a branch manager with Inlanta Mortgage from 2001-2008. Dave has also held Regional Manager positions with both First Union Home Equity Corporation and Nationstar. Dave is active with the Dane County Housing Round Table, Forward Motion Madison and The Midwest Investment Club. Dave is looking forward to growing his team in Madison and welcomes loan originators with proven track records of success. “I’m excited to be re-joining Inlanta Mortgage. Through this renewed partnership, my team and I are committed to providing world-class service to our referral partners and clients. Our business is based on exceeding expectations. The leadership, experience, and vast product line at Inlanta provides us the tools to make that happen,” said Dave Leeder. Dan Leeder is also a twenty year mortgage veteran serving the Madison, Wis. and surrounding areas. Dan previously served as Sales Manager with Waterstone Mortgage, a Market President with River Valley Bank and a Vice President of Mortgage Lending with Park Bank. Dan is honored to serve his industry and community in many organizations including Operation Fresh Start, South Madison Business Association, Wisconsin Bankers Association Mortgage Lending Committee, and Keep Wisconsin Warm Fund. Dan is also a past board member of the Realtors Association of South Central Wisconsin and past President of the Madison Chapter of Wisconsin Mortgage Bankers Association. In addition to Dan and Dave Leeder, Inlanta also welcomes industry veterans Nicole Haag and Kathy Leeder. 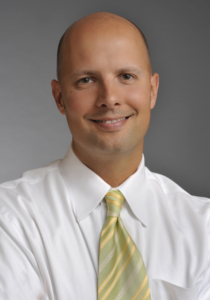 Haag has previously served as an underwriter and has more than ten years of mortgage banking experience. Kathy Leeder has served the mortgage and real estate industry for more than five years and will serve as the office’s client relations coordinator. Dan Leeder can be contacted at danleeder@inlanta.com or 608-320-8299. Dave Leeder can be reached at 608-516-7028 or by email at daveleeder@inlanta.com. Headquartered in Brookfield, Wis., Inlanta Mortgage was established in 1993. The company has grown to 31 branches in 16 states and over 200 employees. The company is an agency approved lender for Freddie Mac, Fannie Mae, FHA/VA, FHA 203K and USDA. Inlanta Mortgage also offers numerous state bond agency programs as well as a full suite of jumbo and portfolio programs. Inlanta Mortgage was named a Top Workplace in 2012 by the Milwaukee Journal Sentinel, has been listed on Mortgage Technology’s Top 25 Tech Savvy Lenders List every year since 2010, Mortgage Executive Magazine’s “Top 100 Mortgage Companies in America” in 2011 and 2012, and the Scotsman Guide’s 2012 Top Mortgage Lenders list. Inlanta Mortgage’s mission is to be the home financing partner that you trust to serve your family, friends and community. Through their family of dedicated mortgage professionals, Inlanta’s commitment is to deliver an exceptional experience. Inlanta’s unwavering dedication to integrity, honesty and ethics is the foundation of all of their relationships. Loan officers and branch managers interested in learning more about the Inlanta Mortgage platform are encouraged to visit http://www.InlantaPartners.com, email partners@inlanta.com or call 262-439-4260. Inlanta Mortgage is pleased to welcome back Joe Spisak to the Inlanta Mortgage team. Joe brings his customer care specialist, Kayla Kania, with him to the Oak Brook, Illinois office. Spisak entered the mortgage banking industry as a junior underwriter with Sunbelt Mortgage more than sixteen years ago. Spisak has since grown his mortgage business exponentially by focusing on his customers’ satisfaction, supported by the fact that he was awarded the Five Star Mortgage Professional designation in 2011, 2012 and 2013. He has also been nominated multiple times for the state of Illinois Loan Officer of the Year Award. He brings Kayla Kania with him back to Inlanta. Kania, a licensed loan officer, will serve as a Customer Care Specialist. Kania possesses the experience and skills that are necessary to ensure a smooth mortgage experience for their borrowers. Prior to partnering with Spisak, Kania worked with other top loan performers and a top real estate team in the Chicago metro market. Joe and Kayla will be located at the Inlanta Mortgage – Oak Brook office, which can be found at Butterfield Road, Suite 130, Oak Brook, IL 60523. Spisak can be reached by phone at 773-255-5989 or by email at joespisak@inlanta.com. Visit his web site at www.joespisak.com for even more information about him. Inlanta Mortgage’s mission is to be the home financing partner that you trust to serve your family, friends and community. Through their family of dedicated mortgage professionals Inlanta’s commitment is to deliver an exceptional experience. Inlanta’s unwavering dedication to integrity, honesty and ethics is the foundation of all of their relationships. Headquartered in Brookfield, Wis., Inlanta Mortgage was established in 1993. The company has grown to 31 branches in 16 states and over 200 employees. Inlanta Mortgage offers Fannie Mae/Freddie Mac agency products, as well as a full suite of jumbo and portfolio programs. The company is an agency approved lender for Fannie Mae, FHA/VA, FHA 203K and USDA. Inlanta Mortgage also offers numerous state bond agency programs. Review Inlanta’s mortgage loan programs here. 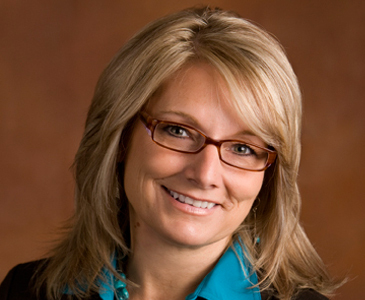 Lori Jasicki is one of several recent Inlanta Mortgage new hires. Jasicki will manage the Brookfield office in Wisconsin. Jasicki joined Inlanta Mortgage’s platform because it encourages and supports an entrepreneurial approach and is focused on quality service in their relationships. Inlanta continues to expand branch operations. Inlanta’s Oconomowoc, Wis. branch added two new Senior Mortgage Loan Officers, Resa Werra and Mollie Burke. The Madison, Wis. office hired a new Processor, Karen Higgins and the Marshfield, Wis. Branch welcomed Brittany Radue. Inlanta’s Appleton, Wis. office announces the addition of Loan Officer Lee Stevenson and Client Relations Coordinator Jean Lindisch-Rihm. The Lakewood Ranch office in Florida is pleased to introduce Shari Burgo as a Business Development Assistant. For more information on Inlanta branch partnerships, contact Inlanta Mortgage’s Branch Development Team at 262-439-4260 or email partners@inlanta.com. For more information on strategic alliances and marketing agreements with Inlanta Mortgage, contact Paul Buege, SVP Business Development at 262-754-6407 or email paulbuege@inlanta.com.